The European Association for the Study of Obesity (EASO) had now released the new OMTF guidelines Practical Recommendations of the Obesity Management Task Force of the European Association for the Study of Obesity for Post-Bariatric Surgery Medical Management. The guidelines provide the latest guidance on nutritional management, micronutrient supplementation, managing co-morbidities, pharmacotherapy, psychological management, and prevention and management of weight regain. 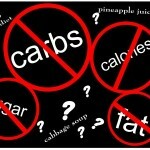 The guidelines also address the issue of post-bariatric surgery pregnancy. Not covered are issues related to dealing with excess skin and rehabilitation (e.g. return to work, reintegration in social activities, education, etc. 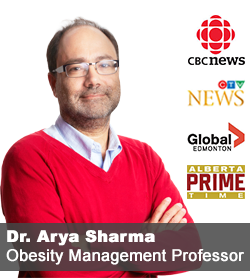 ), both of significant importance, especially in people with severe obesity. These guidelines are now available open access in Obesity Facts. 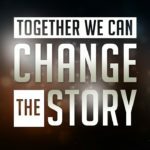 As someone who has often engaged in research projects, consultation, or speaking engagements sponsored or otherwise supported by industry (all of which I happily acknowledge and declare), I am a keen observer of the ongoing discussion about when and how researchers need to be wary of potential biases and conflicts. As I pointed out in previous posts, among all of the potential conflicts, the financial one is perhaps the easiest to declare and otherwise manage. A recent article by John Ionnadis and John Trepanowski, published in JAMA, discusses the wide range of conflicts (most of which may be non-financial), that one may wish to have declared and exposed, especially when it comes to nutrition research. While the potential for financial conflict in relationship to the food industry is well recognised and there are now well-established “disclosure norms”, other conflicts, of which there are many, are not routinely acknowledged, let alone, disclosed. 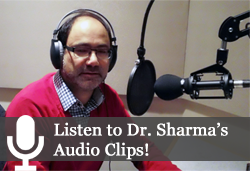 Even these financial conflicts can perhaps be dealt with through established disclosure norms. Although the article focuses on nutrition research, the authors acknowledge that similar biases may exist in other areas of research. In my own experience, “ideological biases” (although well-intended) are pervasive through much of the research and publications on topics ranging from physical activity to public health, where I often see strong recommendations made based on evidence that is not even remotely as robust or rigorous as the evidence that comes from, say a large randomised clinical trials of a new prescription drug. 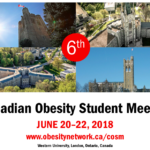 Registration and Abstract submission for the Canadian Obesity Network’s 6th biennial Canadian Obesity Student Meeting (COSM), June 20-22, London, Ontario, is now open. As attendees of past COSMs will be well aware, this is a pretty unique meeting organised entirely by the Canadian Obesity Network’s Student and New Professional (CON-SNP) network, open to 200 MSc/PhD students, young researchers, post-docs, clinical fellows, clinical researchers and young health professionals in their last, or within five years of, completing their training. As in previous years, we expect attendance not just from across Canada but also the US, Mexico, and overseas. The meeting will highlight important advances in obesity research and provide important opportunities for new professionals and trainees to present findings and network with their peers. The presentations and discussions will range from cellular and molecular biology to childhood obesity, primary intervention, and population health. However, the primary purpose of this meeting is to enhance student growth and development with ample opportunity to network and get to know your peers.